Your knees, shoulders, and back need more love! Don't be another sad-sack lifter complaining about constant pain. 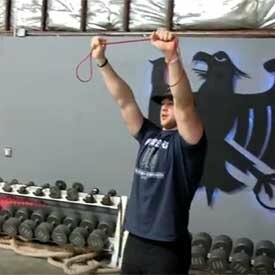 Do something about it with this complete guide to integrating prehab into your warm-up, finishers, and working sets! "My shoulder is really bothering me." "I can hardly bend over." As the owner of a strength-and-conditioning facility, I hear these complaints all the time. 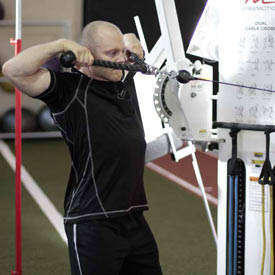 It comes with the territory when you're managing a large group of athletes and active adults. We have a million work-arounds for pain, but our bigger goal is always to prevent dysfunction before it gains a foothold. If you've never heard the term "prehab" before, it means to take a rehabilitation-style approach before an injury strikes, and in my experience, it's essential if you're going to progress forward rather than crash into a wall of pain over and over again. 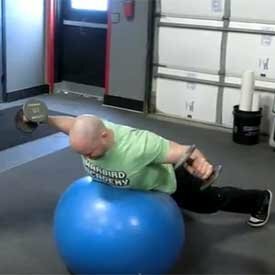 This is my approach to prehab for the knee, shoulders (specifically the rotator cuff) and lower back, the three most common painful areas I see in both athletes and general fitness population. This is the sort of stuff that can make all the difference, so listen up! Everyone has a threshold for physical stress. Go above the threshold, and an injury occurs. Stay below it, and you'll stay pain-free. But you can push that threshold higher with strategic strength and conditioning, which helps increase your body's tolerance to stress and its ability to recover and heal. That's what your approach to prehab should be: increase resiliency. 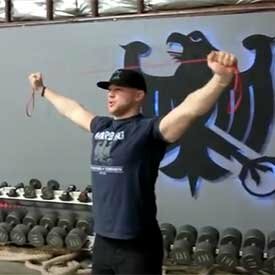 It's strength training, but in the "a chain is only as strong as the weakest link" sense. The knee is often referred to as "a slave to the hips," meaning that the tracking of the knee is strongly influenced by the lateral hip (or glute) muscles. These help move the leg internally and externally, and help it resist valgus (lateral collapse) and other forces that can cause acute injuries to tendons and ligaments. Due to their hip anatomy, and specifically their higher hip Q-angles (the angle from the side of the hip through the knee), women need strong hamstrings, quads, and glutes to avoid excessive valgus forces. 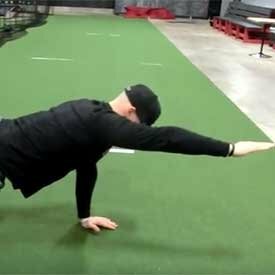 But men and women can both benefit from a prehab approach focused on increasing lateral hip strength, hamstring and glute strength, and proper knee tracking during all leg exercises. It's hard to overstate the importance of those first two points. 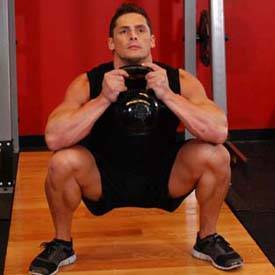 I regularly see large imbalances in legs: strong, tight quads with very weak glutes and hamstrings. 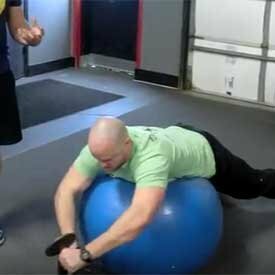 The lateral hip muscles, such as the glute medius and minimus, are also often overlooked in training programs. The rotator cuff is a complex group of muscles that suffer greatly from repetitive overuse in sports like baseball, softball, and volleyball. The cuff also takes a beating among fitness enthusiasts who are also desk jockeys or phone owners—so, most of them—and strong people who don't balance their workouts, stressing anterior lifts like bench press without adequate rowing and mobility exercises. Lower-back pain can be enigmatic, and research has struggled to show strong links between specific strength (such as core strength) or flexibility exercises (hamstring flexibility, for example) and relief from back pain. The spine is supported by the core musculature: the back, abdominals, obliques, diaphragm, and others. Teaching a person how to properly brace their core, similar to how you'd brace when expecting a punch to the stomach, is crucial in helping to keep the spine stabilized. When the spine is stable, the vertebrae stay stacked and centered, which helps prevent disk injuries such as herniation. The muscles of the back also help absorb and attenuate force, as the lumbar erector muscles run parallel with the spine. But even very big, strong athletes have back pain, so it's not just about absolute strength. Rather, you'll see more payoff by focusing on stamina, or being able to stabilize the spine under long periods of time without giving in to twisting or shear forces. 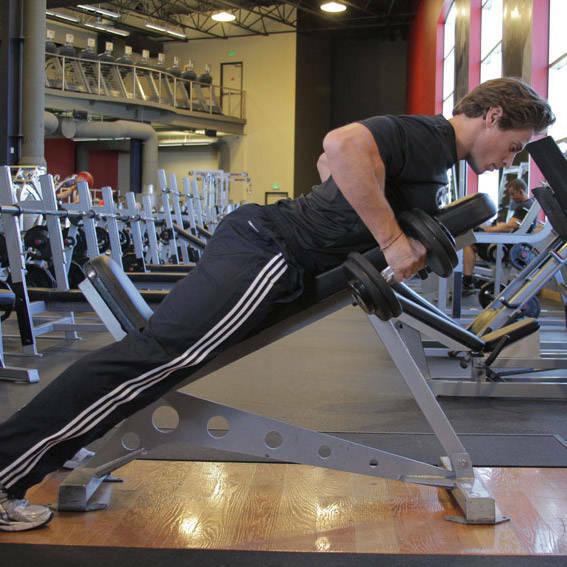 Training the back at higher repetition ranges will help increase that stamina. When integrating these into your own workout, your choices will be mostly based on your injury history and/or physical demands. A soccer player would want a significant amount of knee prehab, a construction worker would fare well with back prehab, and a recreational volleyball player would benefit from shoulder prehab. As a finisher: Pair exercises together—this will wash tons of blood into the area and result in a good pump in addition to strengthening the muscles. 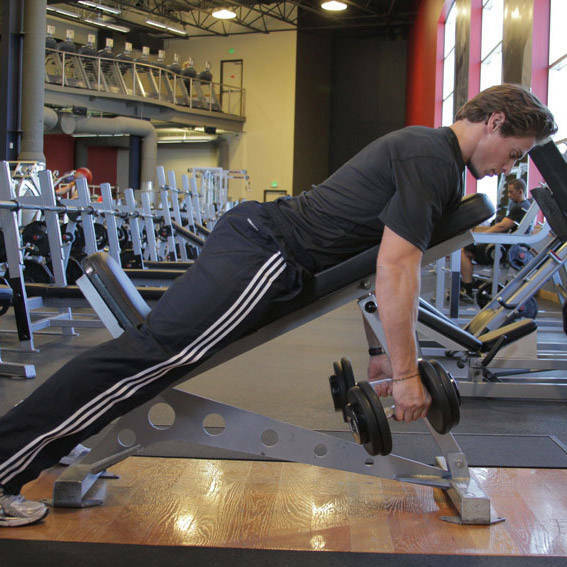 Here's a sample routine that could fit great at the end of any upper-body workout. 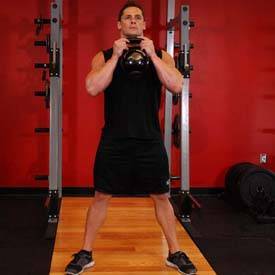 Integrated in your main workout: Using a superset format, plug in prehab exercises that alternate with nonconflicting exercises, either from antagonist muscle groups or different body parts altogether. 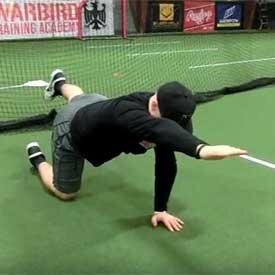 Regardless of how you choose to get your daily dose of prehab, the important thing is that you're targeting potential problem areas—and only you, and maybe your coach, can know what those are. Experiment with the formulas above to see how your body responds. Just don't wait for injuries to strike, and don't assume you'll be the exception! Be proactive, and your body will thank you.